Even though it is Fall, it does not mean you should neglect your garden. Here are six Fall plants to get in the ground now. The weather is getting colder, but that doesn’t mean your gardening plans are thwarted. There are distinct benefits to planting some things in the autumn months: the temperature is cooler, the soil is still quite warm, there is more moisture in the soil and there are more good weather days for planting (as compared to the spring when sudden thunderstorms threaten your gardening days and wet the soil too much). In addition, you can cash in on discounts at your local gardening center as they try to move the last of their merchandise before winter. The ideal time to plant in the fall ends about 6 weeks before the first frost, usually in mid-to-late October. Spring bulbs actually require a period of cold in order to bloom. Plant bulbs in the fall in order to guarantee blooms for spring. If you have issues with deer in the autumn months, try planting allium, English bluebell, dog’s-tooth violet, or snowdrop bulbs. Pansies are ideal for planting in the autumn months because their roots thrive in the still-warm soil. You’ll get to enjoy them for two seasons if you plant them in September/October. Keep the soil wet and remove spent flowers so the pansy doesn’t use any effort to set its seeds. Once the soil freezes, mulch to prevent alternating freezing and thawing cycles that can eject plants from the soil. Cool-season turfgrass is most successful when soil temperature is between 50 and 65 degrees. Planting in September/October ensures that the roots will take adequate hold before the first frost, when growth slows dramatically. Cool-season turfgrass includes Kentucky bluegrass, perennial ryegrass, tall fescue, and fine fescue. Many vegetables thrive in cooler months (namely broccoli Brussels sprouts, cabbage, radishes and carrots), but they must be planted by late August. Veggies that perform the best when planted during the fall include lettuce, spinach, and other greens with a short harvesting time such as collards and swiss chard. 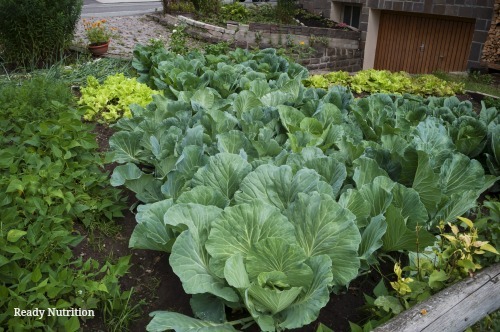 Another benefit of growing these vegetables is that they don’t need a whole lot of space and can be crowded into smaller areas with partial shade. Planting from early September to late-October offers many advantages to certain trees and shrubs. Transpiration is low and root generation is at an all-time high during these months. Typically, plants with shallow, fibrous root systems can be planted easier in the fall than those with fewer, larger roots. Trees that can be successfully planted in the autumn months include alder, crabapple, ash, buckeye, catalpa, hackberry, hawthorn, honey locust, elm, Kentucky coffee tree, linden, maple, sycamore, pines, and spruces. Most deciduous shrubs can easily be planted in fall. Even though it is Fall, it does not mean you should neglect your garden. Now is the perfect time to get your garden cleaned up and ready for the Spring. Master gardeners like to plant cover crops to help add nutrients to the soil during the winter months. Cover crops such as fall rye, crimson clover, buckwheat and others are easy to grow. Here’s how they work: when they are digested by soil microorganisms they restore organic matter and nutrient levels in the soil. Because they are sown thickly, they also help to outcompete weeds. Cover crops also control erosion from heavy winter rains, and help prevent the soil from compacting over winter. Depending on your growing region, some cover crops will die during the coldest weather. The crop residue is still a valued supplement in the spring. Check with your favorite gardening website to see if they carry these organic cover crops. Take advantage of the nice fall temperatures and get your garden growing! For more information about gardening in general, check out the 7 Laws of Gardening: Time-Tested Tips For Growing a Successful Garden.